We Are One Of The Reputed Names In Contributing Quality High-Temperature Refractory Cement In The Refractory Market. These Are A Very Necessary Ingredient For Manufacturing Refractory Castables. Our Range Of High-Temperature Refractory Cement Is Extensively Appreciated By Our Clients Which Are Situated All-Round The Nation. 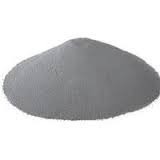 These Refractory Types Of Cement Find Their Applications In Diverse Industries. 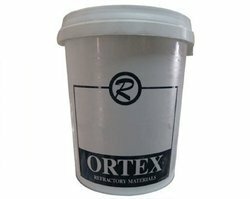 We Also Have The Necessary Facilities To Custom Developed Refractory Cement As Per The Specifications As Per Presented By Clients. We Are Commencing Manufacturer And Supplier Of A Large-Scale Range Of Refractory Cements. 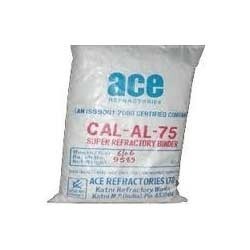 In This Range, We Offer Items Which Are Acid Proof Cement And Refractory Cement. Imperviousness To Utilization And Fantastic Flexibility Are A Quality's Portion Traits That Make These Items Largely Famous In The Business Sector. Our Quality Controllers Examine This Mortar To Ensure Their Durability And Long Lasting Energy. Being one of the trusted firms in the industry, we are highly engaged in providing a unique range of High Aluminate Cement. We hold expertise in offering best quality Refractory Cement to our valuable customers. At the vendors’ end, this cement is formulated from finest quality ingredients by using cutting-edge machinery. Due to low impurity level and compositional accuracy, this cement is highly demanded. Offered by us at industry leading prices, these products are highly appreciated among our customers. These Cementitious Grouts Were Originally And Established By ACC And Large Scale R&D Activities Were Subsequently Carried Out At RCD, Thane For Its Development. Calder's India Has Focused Attention On Grouting Business And Has Expert And Team Of Sales And Service Personnel Located In Various Regions To Serve A Growing List Of Customers. In This Process, A Hole Is Drilled To Give Entrance To The Cracks. The Hole Cuts Some Of The Cracks. Others Connected To Them Let The Grout Travel Out Further To Drill. If Suitable Grout And Methods Are Used The Grout Is Pushed Out Into The Open Joints And Fills Most Of Them. 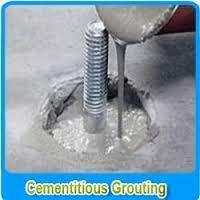 This Type Of Grouting Is Used In The Foundations Of Dams And Other Large Civil Engineering Structures. We, Imperial World Trade Are Originally And Conceptualized And Large Scale R&D Activities Were Subsequently Carried Out Development. Applicable principles: Lafarge Mortar Cement adjusts to the necessities of ASTM C 270 The Standard Specifications for Mortar for Unit Masonry and International Building regulation Section 2103.7. Lafarge Masonry Cement is uncommonly planned to guarantee an uniform item and color to deliver quality brick work mortar for utilization in block, piece, and stone workmanship development. Mortars made with savvy Lafarge Mortar Cement exceed expectations in the key regions of execution, including quality and water safety. Packaging Size 25 Kgs. / 50 kGS. We, Imperial World Trade produces High Purity High Alumina Binders in a position of the art plant following severe process control. Setting features and Durability features of these binders provide in a major way after encouraging utilization and production of castable refractories. 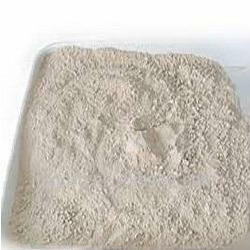 The high alumina reapers, used for making impliable castables, are calcium aluminate cement. Lanexis in connected with Calderys who affords three categories of high alumina binders-Corundum. Corundum, a medium purity above alumina refractory binder, sets hydraulically and when practiced with refractory sums, gives a high-energy refractory castable. 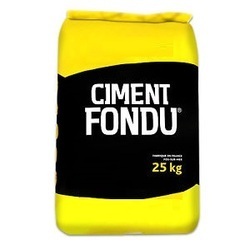 Our Refractory Cement (Binder-Calundum) is equivalent of Ciment Fondu. Looking for Refractory Cement ?